SIG Roofing is a key part of the SIG Group – as a supplier of specialist materials to the construction industry. The Group has a product and service offering of significant scale with strong positions in its three core product areas of Insulation and Energy Management, Exteriors and Interiors. SIG Roofing is a proud part of the SIG Group and even though the name SIG Roofing is new to some, we have been a proud part of the roofing industry for over 40 years. 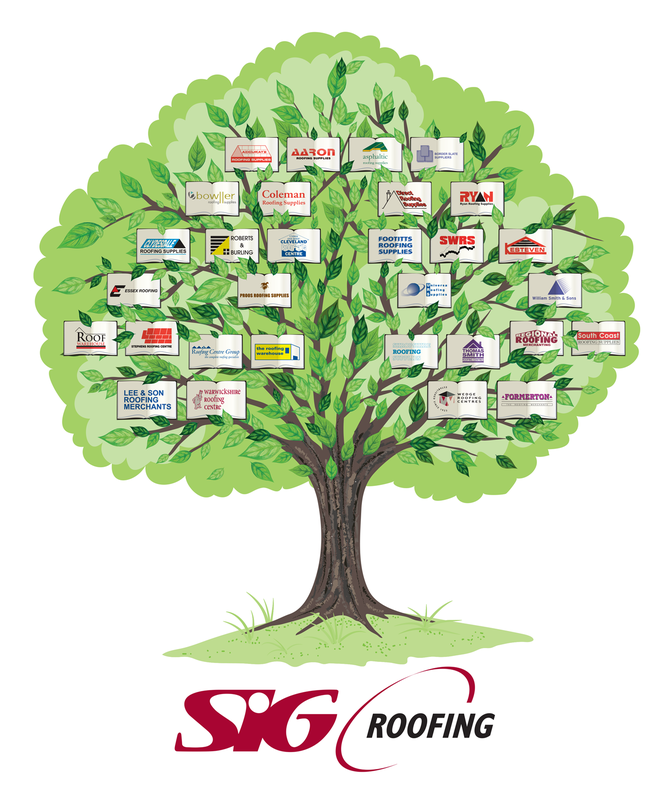 2014 saw all of our roofing businesses come together under one name – SIG Roofing. Together we are the UK’s leading merchant of pitched, flat and industrial roofing products and services. Although the name has changed, in all of our SIG Roofing branches our customers continue to find the same knowledge, experience, commitment and staff with the same dedication to deliver excellent customer service – which they have known and relied on for the last 40 years. Ensuring that we can bring the benefits of a nationwide business to the communities where we are proud to have our branches located at throughout the UK. In our local communities we have been previously…and are still sometimes better known as; Aaron Roofing Supplies, Accurate Roofing Supplies, Asphaltic Roofing Supplies, Border Slate Suppliers, Bowller Roofing Supplies, Clydesdale Roofing Supplies, Coleman Roofing Supplies, Cleveland Roofing Centre, Direct Roofing Supplies, Essex Roofing, Formertons, Footitts Roofing Supplies, Kestevens, Proos Roofing Supplies, Universal Roofing Supplies, William Smith & Sons, Roof Warehouse, Roberts and Burling, Ryan Roofing Supplies, Stephens Roofing Centre, Roofing Centre Group, The Roofing Warehouse, Shropshire Roofing Supplies, Thomas Smith Roofing Centre, Regional Roofing Merchant, South West Roofing, South Coast Roofing Supplies, Lee & Son Roofing Merchant, Warwickshire Roofing Centre and Wedge Roofing Centre. We are proud to be an established part of the roofing industry and we work with a number of trade associations, such as the NFRC, MCRMA and SPRA – to help support industry practice and legislation – with the aim to do what we can to make life easier for everybody working in the roofing industry. SIG Roofing combines over 30 specialist roofing businesses to deliver unrivalled service, products and expertise under one trusted name. To find out more about our Products please click here and for more about our Services please click here.